The Gospel declares that we’ve been rescued by Christ and makes sense of our life. 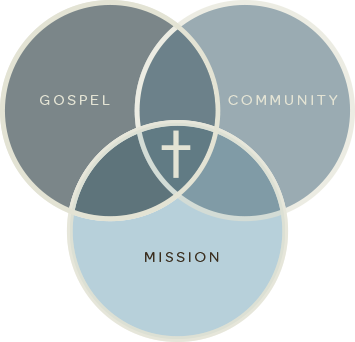 The Gospel forms an authentic community where people are known deeply, yet loved and accepted. As a community formed by the Gospel, God sends us out on mission to bring reconciliation between God and the world. Christ is the center of it all and we strive to make his name great in every aspect of the life of our church.